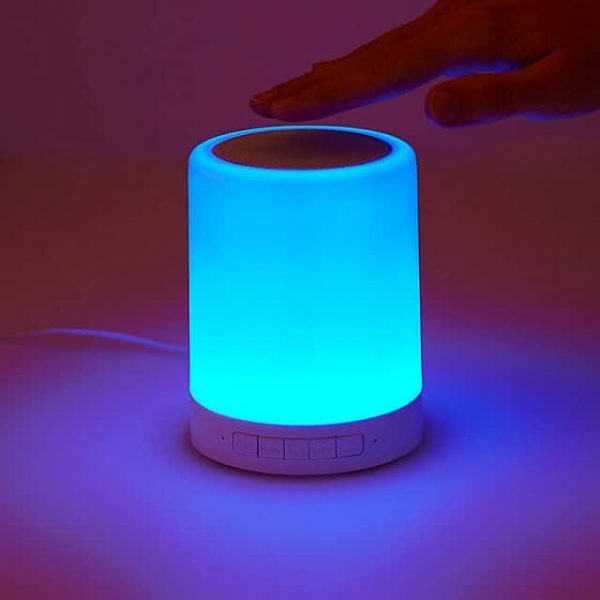 This Color Changing Mood Light Speaker touch control would make a lovely gift for anyone who likes their music or podcasts and likes to be able to listen to them wherever they are! 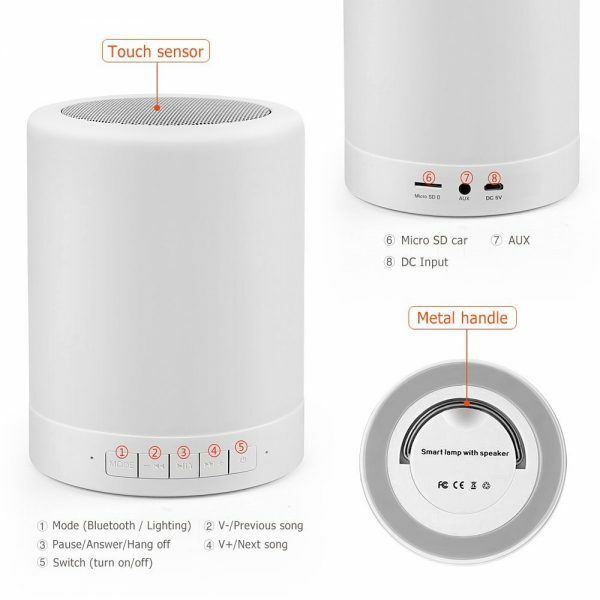 It is a Bluetooth Speaker + Touch LED Mood Lamp + MP3 Player – All in one. 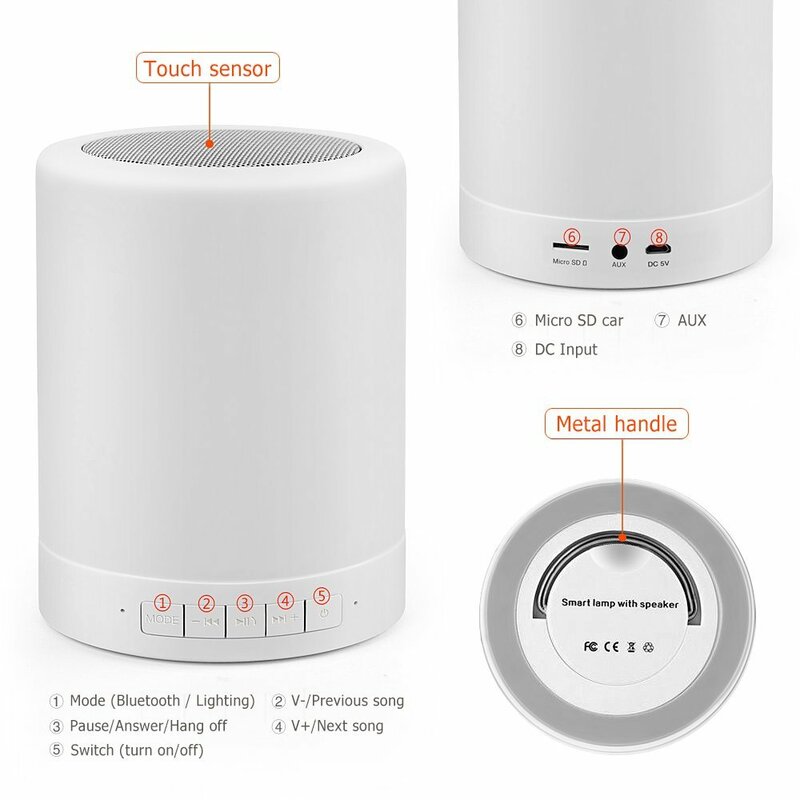 Add fun listening to your music with a trendy Bluetooth color-changing speaker Super easy connecting / pairing with Bluetooth, compatible with all Bluetooth-enabled devices. 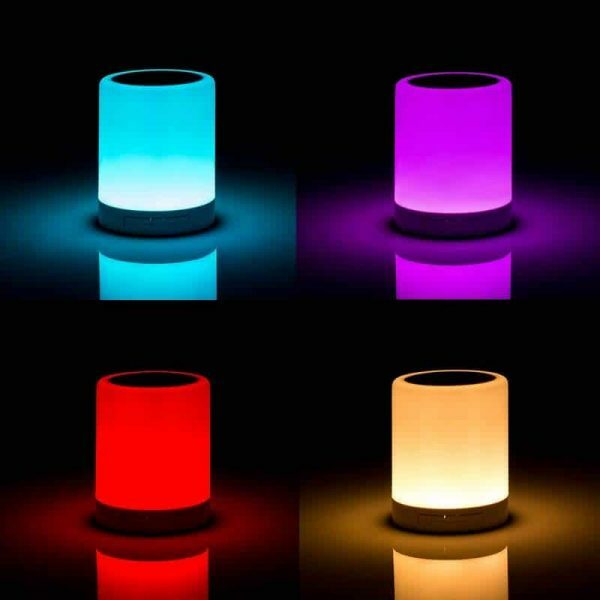 Quality speaker driver ensure loud clear and rich sound Up to 8 LED multi-colored themes adjustable LED light with cool touch sensor design on top. Can be use as MP3 Player with AUX and Micro SD card input. Built-in Mic and Portable Speaker – Hands free calling, easy and convenient for you to answer phone calls Portable design for easy carrying, suitable for party, yoga, travel, home, living room, bedroom. Long lasting battery support up to 7 hours Music play with Lighting time. Improved LED control software for night light uses Bluetooth Speaker with RGB Lights and Touch Control. Colour Changing Mood Light Speaker Touch Control lets you choose the color to match the mood of your favorite tunes. With a light tap, the room is filled with bright pigment and a crescendo of sound, boosting the sensory experience. Keep the chroma consistent, set it on a rotating glow, or increase the speed to create a modern “disco ball” effect. The design includes a collapsible handle for easy transporting or—when it’s party time—hanging from the ceiling.